How do you virtually race? Was the first thing my husband said when I suggested we sign-up for runDisney’s Virtual Running Shorts. Like him, I’m sure many other people wonder the same thing, so I thought I would share some information. Some people would like to complete a runDisney race, but are unable to attend Disney World or Disneyland during the year. Instead of missing out on all the fun, you can complete a Virtual Running Shorts race. The track is whatever you want it to be. It can be a trail you do all the time or a new one, uphill or by the shore. You’re choice! There are also the runners that are on a quest to collect as many medals as they can and this gives those people, one more opportunity. The races are Pluto themed, so if you have a dog that you exercise with you can bring it along. 1. Sign-up for the Virtual Running Shorts race or races that you’re interested in doing at runDisney. Here’s the link. 2. There are 3 races, one in June, July, and one in August. You can do one, two or all three. If you complete all 3, you get an additional medal for completing the Virtual Running Shorts Series. 3. You’re given a month to complete the race. For example, for July, you have from July 1-30 to complete the race. 4. Once you’ve completed your race, you go online and submit your time to the following link. 5. You’ll have up to a year to download your certificate of completion. 6. In August, you will receive your medals in the mail. If you missed my motivation for doing the race, click here. Now that I’m all registered for the race, next step is to book the travel. 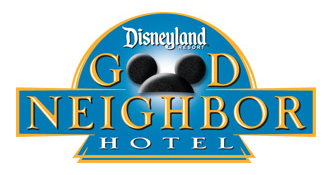 Last time we went to Disneyland we stayed at a Best Western that was literally across the street from the park. It was your typical Best Western, no thrills, but it was conveniently located, included internet and breakfast. I can speak about the breakfast, because there is an iHop next door and that’s where I ended up eating instead. This time we tried to book that same hotel and to my surprise in April the racing weekend which isn’t until November, but it is all booked. People must make their hotel reservations long in advance. It’s also a holiday weekend, so it might not have anything to do with the race. I chose another Good Neighbor Hotel that is a few doors down from the Best Western. It’s called the Camelot Inn. We were able to use our Chase points to pay for the hotel stay, which is good. One less expense for this trip. My runDisney story: I’ve been caring for my mom for over a year. She was diagnosed with both Ovarian and Brain Cancer. She is now terminally ill and in hospice. Doing anything for myself makes me feel guilty. I gave up my job and my life to a big extent, to care for my mom. Food has been my comfort. At times when I couldn’t control what was happening in my life, I could eat the foods I liked and feel better. It’s not surprising that I’ve gained more weight than I would like. Motivating myself to do anything for me, including eating healthy or exercising has been hard. I love all things, Disney. Disney is one of those things that makes me happy. It reminds me of being a child and worry-free. I’ve been looking at all those amazing costumes the runDisney runners wear and how fun and motivating that must be to train in preparation for running at Disney. An idea came in. What if I could try to do a runDisney Race? It would give me a reason to work-out, a reason to care for myself, and something happy to look forward to. Luckily, I have a very supportive husband. When I told him that I was thinking of doing a runDisney Race, he didn’t say no. He asked for details and immediately said that he would join me, even though I told him he could be a spectator and take photos. So now, I’m officially registered for the 10K Super Heroes Race on November 11, 2017, at Disneyland Resort. Unfortunately, I lost my mom earlier this year. Participating in a Disney race continues to be my motivation to get out there and workout. Exercising is helping me fight depression, overeating, and stress.